On the beach, in the mountains or on a summer stroll in the city–when you're out in the sun, proper head protection is crucial. 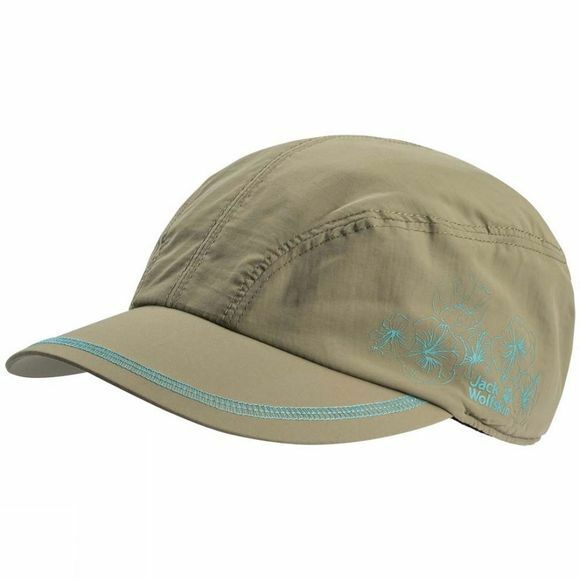 The Womens Supplex Hibiscus Cap has a UV protection factor of 40+. The light mesh lining has good wicking properties and dries fast, so the cap is comfortable to wear in hot summer weather.